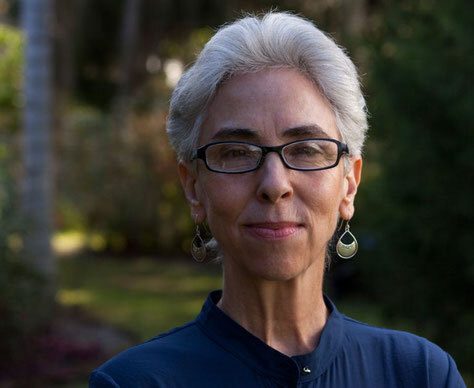 Dr. Lisa Upledger is the founder of The Upledger Center for Integrative Therapy, where she carries on the work pioneered by her late husband Dr. John Upledger. The Center provides services combining CranioSacral Therapy, Chiropractic, Acupuncture and Cupping-Vacutherapy. She offers coursework and mentoring in CranioSacral Therapy to beginners through advanced practitioners. Her trainings are always small and personal, taught with respect for both the material and the participants. Hands-on exchanges are an important part of every class. Lisa's passion for healing began in her 20's at her first chiropractic treatment with the late Dr. Hervé LaFleur in Quebec, Canada. He introduced her to Dr. George Goodheart's work Applied Kinesiology (AK) more commonly known today as muscle testing. She became fascinated that there was a way to communicate with the body. Through the influence of Dr. LaFleur and her own healing journey she went to Palmer College of Chiropractic in Davenport Iowa graduating in 1981. There is where she first learned about the primary respiratory mechanism while studying Dr. Jejarnette's work Sacral Occipital Technique, (SOT) which later she would come to know as the CranioSacral System in CranioSacral Therapy (CST). Her instincts when studying SOT were that the primary respiratory mechanism was extremely important and there was a much deeper understanding and application to be had with its role in the body and health. Lisa went on to study a 300 hour Applied Kinesiology curriculum and attended seminars with the notable Dr. Goodheart, who was placed onto Time's List of the Top 100 Alternative Medicine Innovators of the 21st Century. In 1986, she took her first CranioSacral Therapy class, desiring to expand her knowledge of cranial work – having first been introduced to it through AK. During that first CST class Lisa knew this addressed what she had instinctively sensed about the primary respiratory rhythm in SOT and knew then that CST was the way for her to practice. She pursued the CST curriculum at the Upledger Institute (UI) being fortunate to have all classes with Dr. John Upledger, the founder, creator and developer of CST. In 1991, she joined the UI Healthplex clinic in private practice. She participated as a lead therapist in intensive programs sponsored by the institute, namely the autistic programs and the ground breaking 100 percent disabled Vietnam Veterans intensives. Lisa developed Clinical Applications classes to improve student experience, working with therapists who came to expand their knowledge of CST. These classes consisted of four students, and enabled more individualized instruction at all levels of CST. She happily taught these for 10 years. Before leaving UI, Lisa served as Executive Co-Director and Clinical Director of the clinic as well as a member on the board. In 1996, Dr. John Upledger and Lisa were married. He was as Time Magazine called him "one of the great creative geniuses of the last hundred years." Lisa Upledger will always be grateful to John as both husband and teacher for all he taught and shared. John encouraged Lisa to think outside the box, to pull from many areas of health and science and see the endless possibilities, which he lived with his patients, students and work. Lisa will always treasure the many hours of discussion about CST, health and healing that made up so much of their life. Together, Drs. Lisa and John Upledger taught classes and workshops throughout the US, England and Europe including clinical symposia; treating patients in front of audiences of therapists. Sadly Dr. John Upledger passed away in 2012. Dr. Lisa Upledger founded the Upledger Center for Integrative Therapy in 2014 in their honor and continues to practice CST with an integrative approach using chiropractic, visceral manipulation, acupuncture, medicupping and nutrition, while being open to new healing avenues. "I love this work and love teaching it and am continuing that journey. My passion is the blending process one of the most unique qualities of CST. It is CST at its core. Blending is intentioned touch, the development of a subtle responsive capacity of touch that is used both diagnostically and therapeutically. It is the ability to blend combined with strong anatomical knowledge of the body's tissues with sensitivity to the mind body connection that gives the therapist the insight and healing path to helping patients/clients and I am dedicated to sharing the power of blending with other professionals." To make an appointment or to discuss your individual course of treatment, please call the office at 561-746-5232.